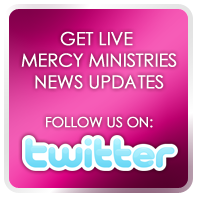 Mercy Ministries News: California Home Updates and Upcoming Events! As part of this effort, on Saturday, November 1st, Sunset Christian Church will host the Friends of Mercy Ministries Brunch from 9:30am – 11:00am. Nancy Alcorn will be in attendance to share the heart of Mercy Ministries and several graduates will share their testimonies of transformation through Mercy Ministries. We’d love to see you there! Then on Saturday, November 15th, we will host our 2nd Annual, Run for Mercy 5K and Family Walk. The entire community is welcome to participate. It’s always a fun time coming together for these events – please join us! For more information or to register, visit: www.runformercy.org.